The Fountain Stool — Whaley's Pharmacy, Inc. The latest and greatest from Whaley's and the medical industry overheard from our soda fountain. Is a Probiotic Right for You? Probiotics may help improve immune function, protect against hostile bacteria to prevent infection, and improve digestion and absorption of food and nutrients. Ask your Whaley's pharmacist if a probiotic is right for you! Memory loss that disrupts daily life may be a symptom of Alzheimer's Disease or another dementia. 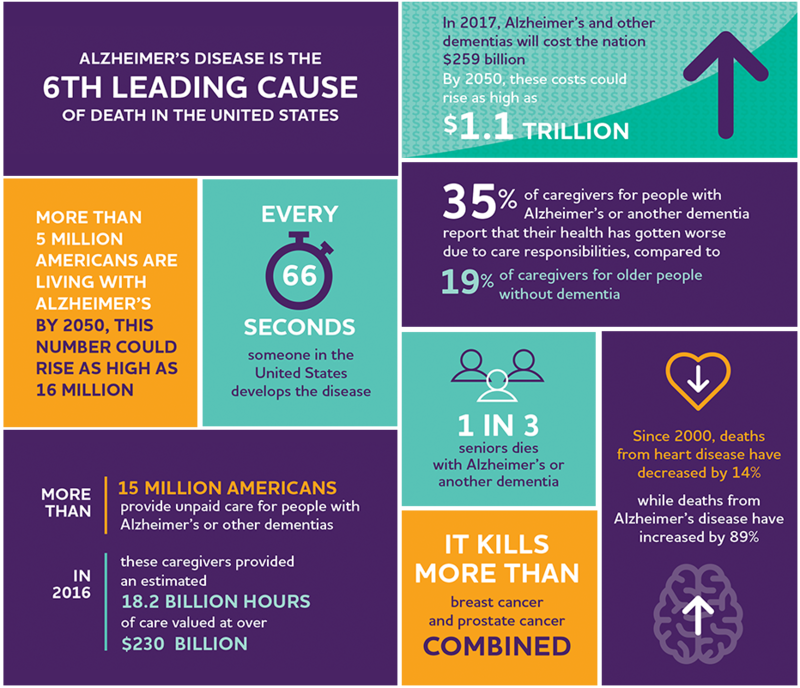 Alzheimer's is a brain disease that causes a slow decline in memory, thinking and reasoning skills. One of the most common signs of Alzheimer's is memory loss, specifically forgetting recently learned information. Others include forgetting important dates or events; asking for the same information over and over; increasingly needing to rely on memory aids (e.g., reminder notes or electronic devices) or family members for things they used to handle on their own. Typical age-related change: Forgetting names or appointments, but remembering them later. Difficulty with numbers, trouble following a recipe, trouble keeping track of monthly bills, difficulty with concentration, may take longer to complete a task than it did before. May have trouble driving to a familiar location, managing a budget at work or remembering the rules of a favorite game. May lose track of dates, seasons and passage of time, may have trouble understanding something if it is not happening immediately or they may forget where they are or how they got there. Having vision problems maybe a sign of Alzheimer’s. A person may have difficulty reading, judging distance and determining color or contrast, which may cause problems with driving. May have trouble following or joining a conversation, may stop in the middle of a conversation and have no idea how to continue or may repeat themselves, may struggle with vocabulary, have problems finding the right word or call things the wrong name. Typical age-related change: Sometimes having trouble finding the right word. May put things in unusual places, may lose things and be unable to go back over their steps to find them again, may accuse others of stealing. Someone with Alzheimer’s may start to remove themselves from hobbies, social activities, work projects or sports. They may have trouble keeping up with a favorite sports team or remembering how to complete a favorite hobby. The mood and personalities of people with Alzheimer’s can change. They may be confused, suspicious, depressed, fearful or anxious. Please visit www.alz.org for more information. During the Back To School season, don't underestimate the importance of vitamins, vaccinations, and sleep! Medical Supplies, Whaley's Pharmacy Inc. If you’re anything like me, you would have no idea what the word “ostomy” means let alone what ostomy supplies are. In this short blog I hope to relay a little of what I have learned in regard to these products at the Whaley’s Southwest location. Let’s start with “ostomy.” All I knew for sure was that meant you didn’t eliminate waste normally. After talking to several patients, I have discovered that there are different types of ostomies and it deals with more than bowel movements. When trying to determine which ostomy supplies are needed, I would start by first learning what type of ostomy you’re dealing with so you know the correct products needed. The most common types you will encounter are Urostomy (Urine) and Colostomy (Feces). If there is a dysfunction with the urinary system and stool formation is normal, the patient may in more extreme cases have had a urostomy performed and they will need to be shown urostomy products (These differ from colostomy products because they are made to hold and drain liquid. They need to be made out of different materials and have a drain or hose connection.) If the patient has issues with their intestines and forming stool (possibly due to Crohn’s disease, ulcerative colitis, etc.) they are most probably looking for colostomy supplies.